Matt and I were sick all of Christmas break, so I thought it would be a genius idea to slow cook a roast just in case we decided we were hungry. I went to the store in my sweats and a hoodie (so to disguise my face) and bought a roast and one of those yummy slow cooker packets. They really are super delicious! Went home threw it in the crock pot and then went and died on the couch. Turns out we never got hungry, so I had this huge roast. I put it in the fridge and decided to make beef stew! Here is the recipe to this awesome soup!! 1. In a saute pan put butter, onions, garlic, paprika, salt and pepper. Cook until translucent. 2. Meanwhile, in the crockpot, pour in the beef stock, grape juice, Worcestershire and flour. Whisk until smooth, turn the crock pot on low heat. 3. Add in the pepper, parsley and Italian seasoning. Then put in the carrots, red potatoes and beef! 4. Cook on low for 5 to 6 hours. Or until the potatoes are tender! Yum! I love beef stew. I've always been a meat & potatoes kind of girl. I made one this weekend too. Happy Tuesday beautiful! This looks yummy! 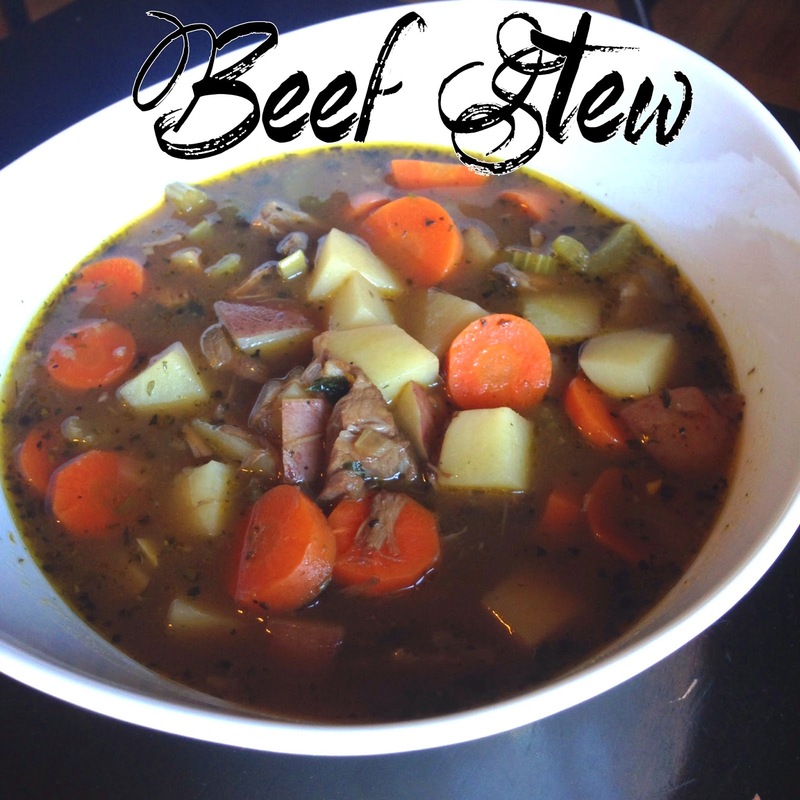 I am a huge stew fan, especially during the winter. It's such a warm hearty thing to eat after walking my dog in the cold Idaho weather! Hope you have a great day! Hope you and your husband are feeling better now. I love a good beef stew! I keep forgetting I have beef cubes in the freezer. I'll need to try this soon. Thanks for linking up at the Sunday Recipe Wrap Up! Yum, I have never added the grape juice. I will have to give this a try. Thank you for linking up at Pin worthy Wednesday, this has been pinned. Thanks for linking up to WW! This would be so yummy on a cold day like today! Thanks so much for linking up at the Totally Terrific Tuesday Link Party last week. Please come back again this week…we'd love to know what you've been up to. The party starts at 10pm. I hope to see you there! Your Beef Stew looks delicious. Thanks so much for sharing with Full Plate Thursday and have a great week. Beef stew, Looks delicious thanks for sharing with Hearth and soul blog hop, pinning. It looks delicious. Winter is the perfect time for beef stew. Sorry you were sick over the holidays. No fun! Thank you for sharing at What We Accomplished Wednesdays. Have a great weekend! Your roast was even better as Beef Stew! Yummy!